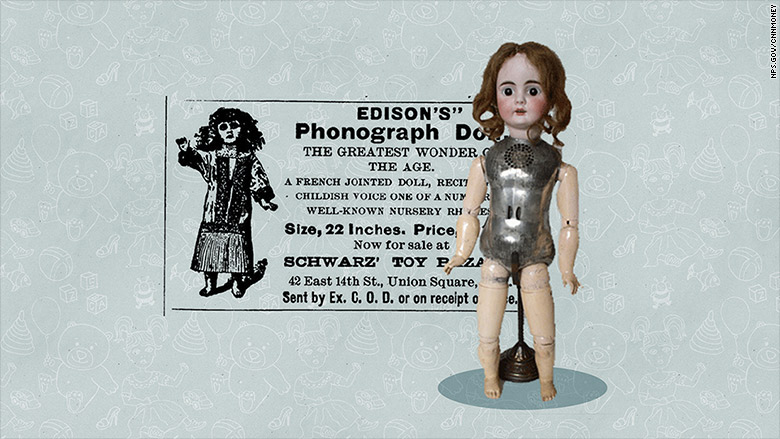 Sometime between 1888 and 1890, Thomas Edison invented and perfected a talking doll. The doll featured a somewhat creepy phonograph recording of, "Twinkle Twinkle, Little Star." Sadly, she wasn't a success. If you want to pay her a visit, she's housed at Thomas Edison National Historical Park in West Orange, N.J.